For many digital photographers, shooting and sharing pictures, is almost a simultaneous task. Photographers on assignment are often asked to send or upload the photos they’ve shot as soon after the shoot as possible. These photographers don’t have the option to wait until they return home or to their studio to edit their work. Even for the casual photographer, the iPad is an easy way to shoot vacation images all day, and then spend a short period of time in the evening preparing and uploading the day’s best. 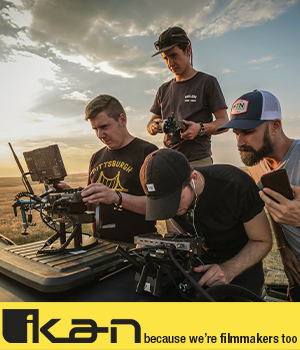 The popular solution has been to include a laptop as part of all the other photography gear that must be hauled to a shooting site or during a trip. Many photographers are discovering, however, that the iPad is becoming the preferred, on-the-run photo-editing platform. It’s much smaller and lighter and has sufficient battery power as well as the power and resolution to utilize basic editing software applications. If Internet access is available, then images can be sent to friends, families, clients, employers or the entire world. Follow the general steps below to make the iPad a valuable companion to you and your camera when you’re shooting on the road. First, you’ll need the Apple camera connection kit, which is a separate purchase. Next, connect a USB cable to your camera, which allows you import your picture files to the iPad. New folders or galleries (Last Import and All Imported) automatically appear in the Photos app. The iPad will import your RAW image files; however, many software-editing products are written to work only, or better, with JPGs. You might think the software is editing the RAW file, but, in actuality, it is using the lower-resolution JPG that is embedded in the RAW file. You could shoot in JPG + RAW, but that is not always possible. The other alternative is to add an application to your iPad called PiRAWhna. It is a low-cost tool available from the Apple iTunes store. 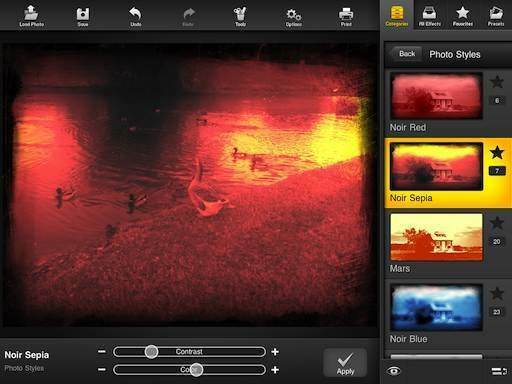 It identifies the RAW files on your iPad and then has the capabilities to make limited edits, such as white balance, contrast, exposure, sharpening, etc. You can then export those edited files to .JPG without disturbing their original resolution. Some photographers have reported issues with PiRAWhna, but others find it to work quite well, especially on the iPad 2, although the app has an unsophisticated interface. Now that you’ve created JPGs from the RAW images, with the help of PiRAWhna, you’re able to perform additional editing (crop, rotate, retouches, add vignette and more) with editing software that is compatible with the iPad. Once of these is Photogene, which should appear familiar to Lightroom or Aperture users. With an Internet connection, you have all the same distribution and sharing options as you would on your computer at home: Web site, Facebook, Twitter, Flickr, email, etc. The iPad still doesn’t have all the functionality of a desktop or laptop and its specs limit what photo-editing apps you can use; but it’s a handy tool when you must edit and send photos from the field or simply want to share them with your family and friends and see them splashed across the Internet faster.